Mechanic Gwen Colburn knows this better than most, so when charismatic megastar Neo Tucker walks into her life, she doesn’t trust the glitter of admiration in his eyes or the sweet words on his lips. It’s only when a demonic killer from her past begins to stalk her and the bodies pile up that she realizes he’s the only sane thing left for her to hold onto. Rumors of supernatural murders have dogged Neo ever since he became famous but it wasn’t until he met Gwen that it mattered. She’s the one he’s been waiting for all his life and all he has to do is help her learn to trust him. Too bad someone close to him wants to make sure he never gets the chance to find out just how perfect she is. Gwen and Neo must fight to get what they desire most. The only question is whether either of them will live long enough to enjoy it. 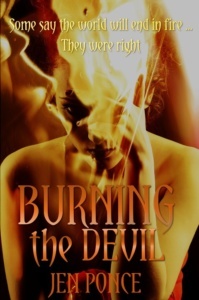 Burning the Devil is a psychological horror story that will leave you unsettled long after you finish it. Click here to preorder it. Out March 1st. 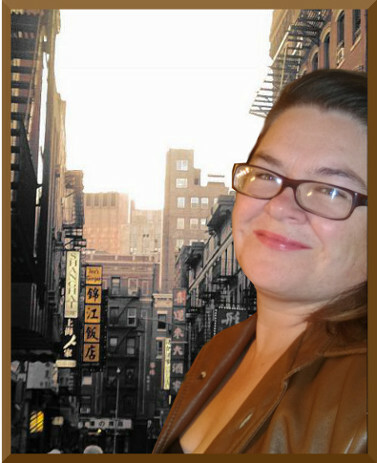 Jen Ponce is a writer of kickass women and oogy monsters. She lives in Nebraska and hangs out with her three boys, three cats, and a goldfish named Reginald. 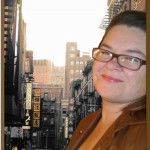 She writes horror, urban and dark fantasy, romance, and comedy and will read just about anything you put in front of her. You can visit her at www.JenniferPonce.com or say hi on Facebook or Twitter. You can check out her books on Amazon here.